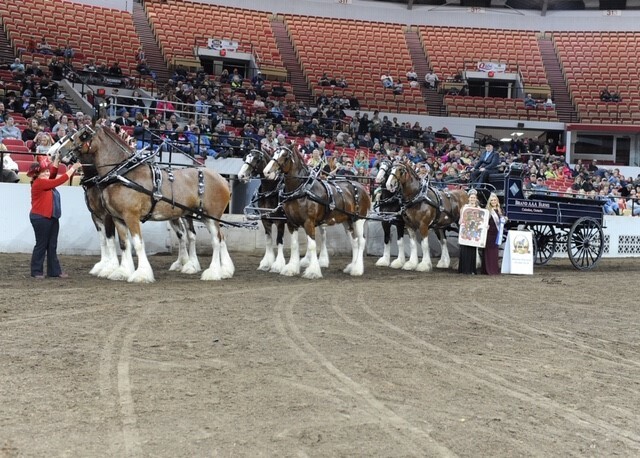 Peel Mutual Insurance and our Agent, Thomas Carberry Insurance are thrilled that one of our clients has been judged the World Champion Six Horse Hitch of Clydesdale Mares. The owner of the horses that were representing the Brand AAA Farms are Bob and Betty Brander of Caledon, ON. Bob and Betty are relatives of current Peel Mutual Director Harry Brander.